Small but mighty: driving a Yaris is a blast. It’s powerful and responsible enough to make it enjoyable behind the wheel and small enough to let you maneuver through traffic; you’ll forget if you're driving it for fun or because you need to. With great gas mileage comes great joy. With an impressive EPA-estimated 37 highway mpg, you could be making more stops for coffee than you will for gas. Yaris is as unique as you are, with all the features you want. Its sleek styling has all the right curves, and new available projector-beam headlights and an oversize blacked-out grille add attitude. Available LED Daytime Running Lights (DRL) feature an accent light bar for added eye-catching style. And with its spoiler, integrated fog lights and 16-in. machined-finish alloy wheels, Yaris SE is always ready to show off its sporty side. So get inside. Let’s go for a ride. With an unexpectedly roomy 15.6 cu. 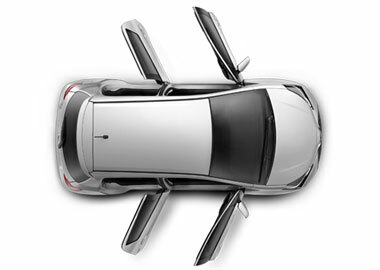 ft. of cargo space,12 Yaris 5-Door Liftback gives you the room you need to bring along the things you want. With Yaris, your stuff has a place to call home. You’ll find door pockets, a passenger-side footwell pocket, a center console storage compartment and a passenger-side glove compartment. When we say “stow it,” we mean it in a good way. 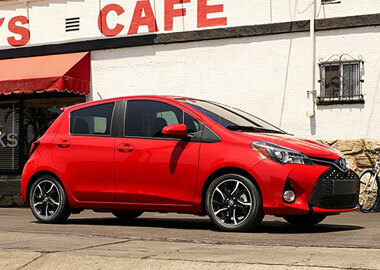 Yaris is about to change your idea of space in a subcompact. 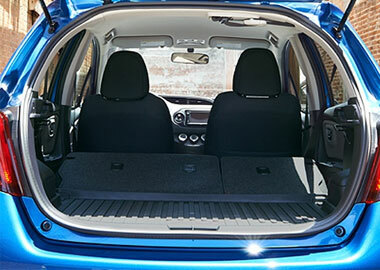 With a standard, versatile 60/40 split fold-down rear seat, you'll be packing more stuff in your Yaris than you thought you could. With Bluetooth®, 8 wireless technology standard in every Yaris, your phone can stay in your pocket and you can still access it from your car. No music stays behind with Yaris. Connect and control your iPod®, using the standard USB port, plus there’s an auxiliary audio jack to plug in other music players. Yaris comes standard with the Star Safety System™, a suite of six advanced safety features that includes Vehicle Stability Control (VSC), Traction Control (TRAC), Anti-Lock Brake System (ABS), Electronic Brake-force Distribution (EBD), Brake Assist (BA) and Smart Stop Technology® (SST).